My chat on Tuesday afternoon with Turkey’s TRT World about Donald Trump’s visit to the NATO summit in Brussels tomorrow and Thursday — will he wreak havoc or play nicely? 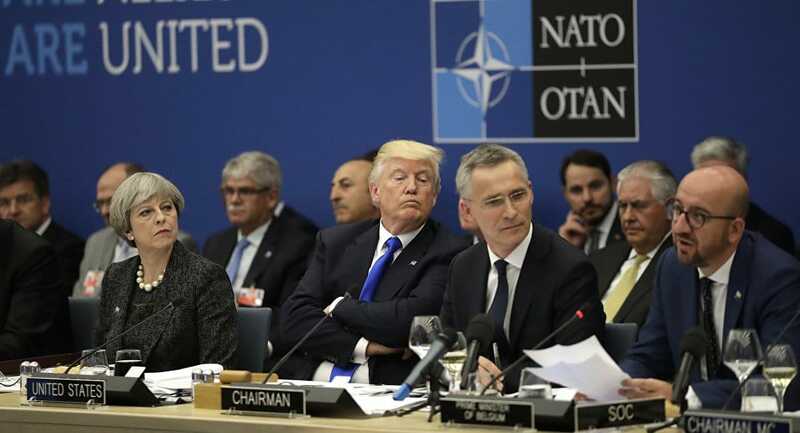 Donald Trump doesn’t want NATO….Part of it is personal. Trump believes only in himself and his supposed “America First” approach. He doesn’t like to deal with other leaders, at least ones who are not named Vladimir Putin. Second, it’s this mistaken perception that NATO is “ripping off” the United States, the European Union is “ripping off” the United States. PreviousMonocle 24: Trump’s Supreme Court Pick Kavanaugh — Conservative, Very Conservative, or Off-the-Chart Conservative? NextTrump and Putin: Male Bonding at First Sight or a Bad Break-up on the Way?